For many years We, your Elder Brothers, have warned men of the dangers of blindly following market forces which, themselves, are blind. Thus, the present widespread economic and financial crisis should not be unexpected. The 'bubble' created by competition and greed had, inevitably, to burst. Yet the 'men of money' who built this towering edifice on shifting sands are stunned by the outcome, are at a loss to understand the reasons for the catastrophe and are already looking for better ways of continuing the same folly. Maitreya, waiting patiently in the wings, sees this as a 'window of opportunity' which allows Him to emerge openly and begin His outer mission. Thus, the long wait for His emergence is almost over. Very soon indeed now men will hear Maitreya’s call for action and for change. Already, amid the myriad analysts the media have turned to for explanation and advice in the current crisis are a few who wisely warn that radical change is essential; that control and regulation of the 'men of money' must be a top priority to prevent a repetition. The people call for fairness and justice and are in no mood to be ignored. Thus the stage is set, at last, for the words of Maitreya to be heard, and to be seen as sensible and true. He will tell men that the continuation of the present disorder will bring only further chaos; that only a complete and ordered reconstruction of the world’s economic system will bring justice and peace; that without such justice and peace the future would be bleak indeed. He will tell them that we have the answer in our hands, that the world is one; that we live and prosper as one or face annihilation. These things, bit by bit, Maitreya will tell the world and the people will respond. Before their present leaders, they will see His good sense, and welcome the opportunity to put into practice His advice. How long this phase will last is difficult to predict but, in the present chaotic conditions it may be relatively short indeed. The greedy 'men of money' have been caught out and their methods found wanting. The people who only want sufficient to raise their families in decency are more than ready for the changes and the challenges of the future. They want justice and peace and are prepared to share to achieve these precious goals. The people are ready; the 'men of money' are bewildered and are licking their wounds; Maitreya, too, is ready, and has His hand on the door. The following News Release was published and distributed by Share International in October 2008 to explain the significance of current events and alert the world’s media to their underlying connection with the Emergence of Maitreya, the World Teacher. Worldwide financial crisis  what next? For over 30 years, Benjamin Creme has been preparing the way for the emergence of Maitreya the World Teacher. In the late 1980s two journalists known to Share International met one of Maitreya’s close associates. What emerged from their frequent meetings included a series of extraordinary forecasts made by Maitreya and passed on to Share International. This remarkable series of predictions made by Maitreya between 1988 and 1992 was regularly distributed by Share International as news releases to the media worldwide. In 1988 Maitreya forecast that “a world stock market crash will begin in Japan.... A stock market crash is inevitable.... This is a bubble that is about to burst.” Within months the Japanese stock market began to collapse, losing three-quarters of its value. It has never recovered. The current crisis is the continuation of that process of dissolution. Governments now appear lost and bereft of ideas on how to stabilize the chaotic situation. We present a selection of quotations from articles written by a Master of Wisdom with whom Benjamin Creme is in constant telepathic contact. 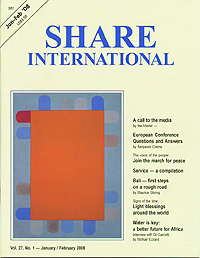 These articles, printed in every issue of Share International magazine point the way out of the present crisis to a future where humanity recognizes that the world is one and begins to share its resources more equitably. The current turmoil will clear the way for the next phase in Maitreya’s emergence into fuller public work when He will be seen as a wise counsellor with solutions to the world’s problems. Very soon, Maitreya will be interviewed for the first time on American television and His open work will begin. So interconnected is the present world economy, so various and so widespread the investment in each other’s industry and financial structures, that soon these shaky structures will themselves collapse, leaving the world ready for the new. It is to encourage the acceptance of a new approach that Maitreya will work, exhorting the nations to accept that sharing alone will solve their problems, that without sharing and justice, peace will elude them always. Gone for ever must be the reign of the freebooters, the cavalier disdain for the rights of others. No longer must the exploitation of millions be the source of corporate wealth, and be acceptable as the norm. When Maitreya speaks, He will draw attention to these major ills of present society and sound the call for change. The collapse of the stock markets will awaken men to the disease of speculation which is destroying the very fibre of men’s lives. Thus shall Maitreya become a central figure in the period immediately ahead. Thus will men find a leader of thought, a spokesman for the oppressed, and thus will men awaken to the new light which Maitreya’s teaching brings  the light of wisdom and truth. Perhaps, at first, men will doubt the efficacy of Maitreya’s plans, but in time they will see that no other course will bring relief to the poverty and pain suffered by half the world. The downward-spiralling stock markets will signal the end of an era of rampant greed and a new realism will replace the present chaos. Men and women everywhere will rally to Maitreya’s side, their aspiration awakened as never before, their hearts aglow with the opportunity to serve a most worthy cause: nothing less than the recreation of this world. Q. What clues will we get that Maitreya is really emerging? A. When Maitreya is about to step forward people will see a huge, bright, shining star, visible to everyone. Maitreya is not the only one talking about freedom and justice, and I am not the only one saying these things. I am the only one relating it to Maitreya, but people have been talking about these ideas for years. I can confirm that the ‘event’ she spoke about is Maitreya’s stepping forward into the public domain, and that the ‘star’ will be a huge spaceship from Mars. Q. (1) Now that the US Congress has passed a financial bailout plan, how close is the US and the world to the worldwide stock market crash that Share International magazine has predicted? (2) Are we heading for a total economic collapse, or depression, worldwide as some have predicted, or (3) are the economic problems we are facing more limited in scope? A. (1) This is the crash. We could not be closer. (2) Not total perhaps, but very far-reaching. (3) No. The entire economic system and thinking must be transformed. It will take the adoption of the principle of sharing to bring that about. Q. Will Maitreya’s message of sharing be more difficult to accept for some people now, given that the economic situation of many millions in the US and other developed nations is increasingly precarious? A. On the contrary, it will show these nations that the old greedy and selfish ways do not work in a rational manner. Only sharing, in the end, will bring stability, justice and the peace we all desire. Q. Are we facing the end of hypercapitalism? A. Yes. According to the Masters the best ratio for successful, stable, fair government is: Socialism 70 per cent  Capitalism 30 per cent. At the present time the ratio in the US is 95 per cent Capitalism  5 per cent Socialism. UK 85 per cent Capitalism  15 per cent Socialism. France and Germany much the same. Scandinavia about 40 per cent Capitalism  60 per cent Socialism. For this reason the Scandinavian countries, except for Iceland, are the most stable and fair. Q. A team of French scientists led by archaeologist Franck Goddio, announced that they have found a bowl dating to the first century AD, engraved with what they believe could be the world’s first known reference to Christ: “DIA CHRSTOU O GOISTAIS.” This has been interpreted by the archaeological team to mean either, “by Christ the magician” or, “the magician by Christ.” (1) Do these words indeed refer to Jesus (overshadowed by Christ) during his time in Palestine, or (2) someone else? (3) Did the person who wrote the inscription know Jesus directly? (4) Did they mean “magician” in the derogatory way that it might be interpreted as today, which could mean a trickster etc? A. (1) Yes. (2) No. (3) No. (4) No. On the contrary, they were meant to praise Jesus. They were inscribed 25 years after the death of Jesus. Q. Famed Canadian neuroscientist Wilder Penfield thought that the mind may interface with the brain in part of the diencephalon. (1) Is that true? (2) If so, is there a specific part of the diencephalon that you can identify where the mind interfaces with the brain? A. (1) Yes. (2) It is not in a part of, but in the diencephalon. Q. (1) Should we have compassion for the Lords of Materiality? (2) Or should we pay them no attention at all? Q. How can one open the mind more  become less rigid or set in one’s beliefs? A. Become more tolerant of difference. Meet more people of opposing views and try to understand their point of view. Q. What is the quality of Piscean energy and how is it different from the quality of Aquarian energy? A. Idealism, devotion and individuality. As we have used them, however, they have demonstrated, through our marked individuality, as division, separation, fanaticism, fundamentalism. It has the ideals of unity, brotherhood, justice, freedom  but if you look around the world there’s little sign of that brotherhood, or justice. These positive qualities need a broader view of these ideals; not a simple, fanatical bigoted view which has been the norm throughout Pisces. We are living at the end of the age of Pisces and that’s a problem. The energies began to be withdrawn in 1625. Our solar system has come into the same relationship as with Pisces, but now with the constellation of Aquarius; we are living in the early years of the Aquarian dispensation. Aquarius is totally different  its qualities are those of synthesis; they will fuse and blend humanity together in a way which now seems impossible. It’s difficult to imagine because of the influence of Pisces. The energies of Aquarius began to come into this solar system and to this planet in 1675 and they are gathering momentum with every day that passes. The energies are more or less equal  neither one dominates. The energies of Pisces are still somewhat more prevalent  about 58 per cent to 42 per cent. So not equal but relatively so. We are still living in a world with the old structures which we created  political economic, scientific, religious, cultural and so on. All structures are the result of our response to the energies of Pisces. The governments of the world are struggling to cope with the situation of today and the future, with the tools of an age which has passed. All our concepts of international politics, of economic structures, of how humanity should live together are dominated by the concepts of Pisces. Yet here we are living in the early days of Aquarius. And we wonder why life is so difficult. It is difficult because we are trying to do what belongs to tomorrow with the knowledge, the concepts, the ways of thinking, the old ways of the past. The aim of Aquarius is to create unity and synthesis  but how can you do that if you have only the technique of competition to bring that about. It cannot be done. You can only make unity with co-operation. It is the lack of co-operation, the emphasis on competition, which is the major obstacle to change for the better in every aspect of our lives. It is a contradiction in terms. In August 2008 we had a stall at the Esoteric fair in Magdeburg. A neat and cheerful lady approached me and wanted to know what we were doing. I told her about our information and she agreed with everything I said by nodding and repeating it in simple words. Actually, everything I said seemed self-evident to her. I asked what she was doing in her life. She was retired. I found this strange as she looked not older than 50 years. She had been a teacher in a hairdressing training school but was now working “on a project”. “I would like something from your stall, because what you are doing here is good.” She decided on the book The Art of Co-operation, saying it would give her inspiration for her project. But she couldn’t pay for it right now, because she needed her last €20 for something else. She would return tomorrow to pay for it. There she was on the following day, in a red dress and with red coloured hair and a little basket, handing me two white gerberas [flowers]. She paid for the book and put €1 euro for me and €1 for my co-worker Carsten on the table to “buy some coffee”. She then fished a bottle of hair-conditioner out of her bag and handed it to me with the words: ‘If you are very sparing, the event will happen before this bottle is finished.” As cheerful and neat as she had appeared, she walked away. On Saturday 29 March 2008, two co-workers and I were manning a Share International stand at the Vitality Show, Olympia, London. Two ladies approached the stand. The first lady looked Caribbean, was middle-aged, tall and well-built. She wore a long, deep-pink dress with a silver-sequined v-neck, a red coat and a large, red turban. She had a friendly face and was very eye-catching! Her companion was a younger, Asian woman who was tall and slim, with long brown hair tied back. She stood further away, appeared solemn and serious, and didn’t smile so much. I explained the information and the lady in red nodded and smiled enthusiastically. Then she led me through a series of questions. “Had I ever experienced Maitreya personally?” I recounted an incident and explained that many people are having such encounters, and marvelled at the imaginative guises and the sense of humour the Masters have. The strange thing was, if I paused only for a second, she finished the sentence off for me! It became quite obvious. I wondered if she could be Maitreya, but at the same time was trying to be professional and tell the information as I normally would. There was a twinkle in her eye, and our exchange gave me a light-hearted boost. We talked about living a simpler life and sharing the world’s resources, and then I spoke about Maitreya’s interview on television soon. I said that Benjamin Creme explains that when Maitreya talks about how to solve the world’s problems, we may have heard similar ideas and concepts before, but this time, with Maitreya Himself conveying the words … I paused slightly … she said emphatically: “We will understand.” “Exactly,” I said. Her eyes fell on a Transmission Meditation leaflet. She immediately said: “It’s like helping a good cause isn’t it?” I hadn’t spoken yet about the meditation or that it was for service, so her remark surprised me. They said “thank-you” and went, leaving me uplifted and slightly bemused. Please could you say if these two ladies were, in fact, Masters? Whoever believes it, can do it! On 6 September 2008 another group member and I were going to help out with the Share International stand at the paranormal fair in a church (‘De grote kerk’) in The Hague. When I arrived, two visitors said that they had come especially to hear the talk about Maitreya and that people were already waiting in the lecture room. I was shocked because we did not know anything about a lecture and there was no-one to give it. I went to the lecture room to cancel the lecture and explain why. There were half a dozen people, including an oriental-looking gentleman who said to me: “Why don’t you give the lecture?” I said uncertainly that I could not do it, but he said: “Do it yourself, you already have so much wisdom and knowledge within you,” and he looked at a lady sitting next to him, who nodded approvingly. I felt confused and a little panicky. I replied that I would give it a try and returned to the stand to tell my colleague. He had heard about the lecture and, although he too had never given a talk, he had already decided to do it. I told him what had just happened and we decided to give the lecture together. When we returned the gentleman nodded: “Yes, you can also do it together,” and the lady smiled. Then we told the people present about Maitreya and sharing. During our talk the gentleman regularly nodded in approval and afterwards he said: “You did great, really fantastic,” and the woman agreed. (1) Were the gentleman and lady Masters? (2) Was this a reaction to my remark? On Saturday 15 July 2008 I was on my way home after attending a demonstration in London, called at short notice to object to the visit of George W Bush, his welcome by the Queen and invitation to dine with the British Prime Minister in the evening. I felt a bit self-conscious standing there on the underground platform with people looking at my banner saying: “Sharing and justice will bring peace”. The train arrived at last and just as I moved towards the doors, I heard a voice at my side: “I see you’ve been to the demonstration then.” Once on the train I noticed that my companion was a middle-aged studious-looking woman wearing very thick-lensed glasses. She had dark hair and was wearing a jacket covered in all kinds of activist badges. She leaned forward earnestly and started commenting on the large number of people who had attended the demonstration given the very short notice and also on the excellent calibre of the speeches. We discussed the speech of Mozzam Begg who had been held prisoner at Guantanamo Bay. He portrayed a cultured and intelligent person who had moved me to tears with the description of his treatment there. Another speaker was Walter Wolfgang, a socialist who had been arrested at a Labour Party Conference a few years ago. He said that people who came to the demonstration and those around the world who were sympathetic would make the future while Bush and his partners would remain in the past. Another speaker said that the media were complicit in engendering deception in people living in the West by not reporting on the war in Iraq and the Israeli occupation of the West Bank and control of Gaza. My stop came and I had to leave after saying goodbye. I would like to ask if this person was a Master? On my computer I have a nifty little programme called ‘Rijks-widget’ that pops up a different work of art from the collection at the Rijksmuseum in Amsterdam every day, for display on my computer desktop. On the morning of 17 September 2008 I was feeling rather nervous as I was going to translate for Benjamin Creme’s lecture in Amsterdam that evening, when the Rijks-widget showed a Buddha-like statue which drew my interest. 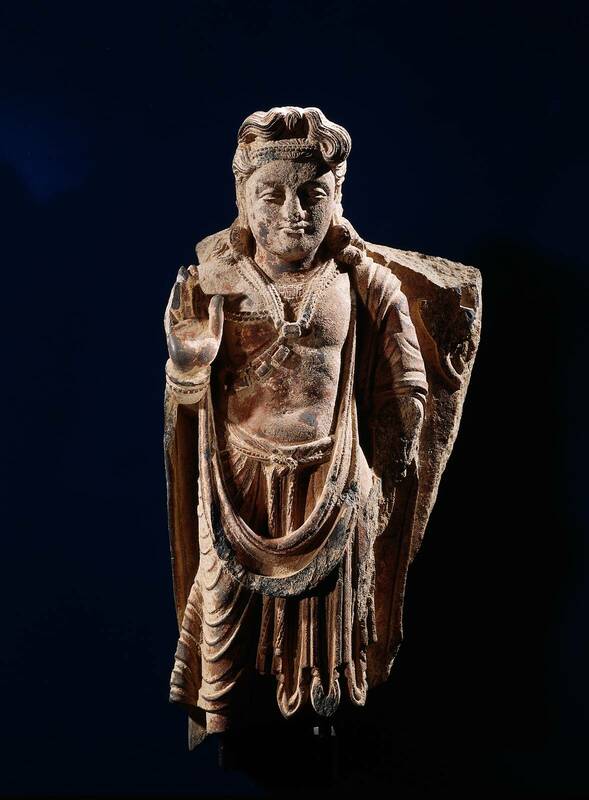 When I clicked to enlarge it, and turned the page to read the description, it turned out to be a statue of Bodhisattva Maitreya from the 3rd century AD, with his hand raised in “a gesture of reassurance”, as the accompanying text read. Was this just a coincidence or did Maitreya have a hand in the art selection that showed up on my computer desktop that day? I was riding my bicycle to work on 10 September 2008, at about 3pm, along Avenida Diagonal, in Barcelona, when I passed a man sitting on a bench, who looked like a street beggar with long dark hair, reading glasses, and a hat on. He looked unusual, and somehow similar to a friend of mine. I had just been thinking about what it was like to sleep on the streets and after passing him the thought “this is Maitreya” suddenly entered my mind. I turned my bike around and went back to talk to him. I asked if I could take his photo: he was friendly and said yes, and asked me if I was a tourist. I said no, that I live in Barcelona, but I know that I look like a tourist. He then said to me: “The God of all that is loves you and wants you to be happy”, which seemed specifically related to the state of mind I had been in earlier, worrying about not doing enough Emergence work, and thus unable to be happy. He also asked me for some money which I gave him, and then he got up and said he was going to go look for something to eat. He walked to the curb and began crossing the street as I rode away. Was this man Maitreya? We have bought the same brand of organic biscuits for years. They have a round shape and a hole in the middle. Some weeks ago, I opened a pack and found one biscuit very different from the rest: it was considerably larger and had a distinctive heart shape. I found it nice, but I thought no more about it. Days later, when I bought another pack and opened it, I found two heart biscuits in it. 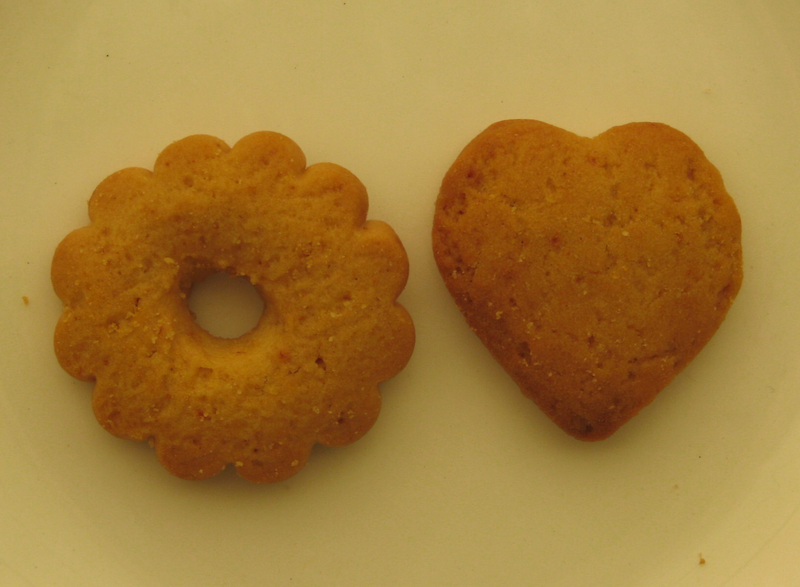 The next pack I bought days afterwards contained three heart biscuits. I began to smile and wonder and made some enquiries at the shop: all biscuits should have the same round shape, the packages were alright and no one had reported anything strange with that brand of biscuits. So, are these heart biscuits the result of a mistake in their production or something else? A marble statue of Shirdi Sai Baba (c.1840 to 1918) an Avatar and the previous incarnation of Sai Baba, has miraculously opened one eye. 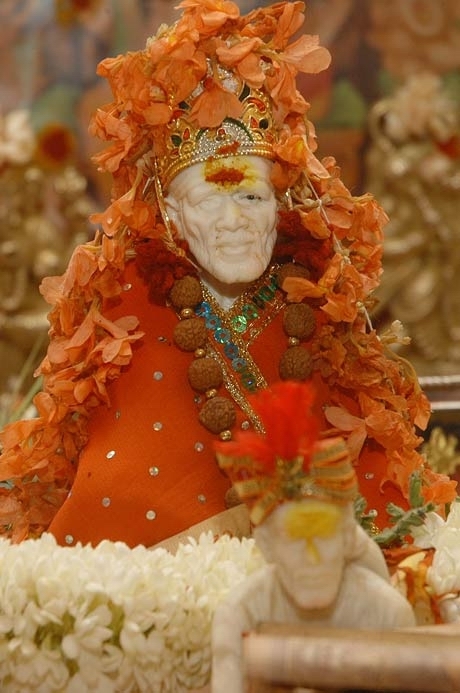 The miracle occurred in July 2008 while the owners, devotees of Shirdi Sai Baba, were cleaning the statue in preparation for the following day’s puja (worship). The 12-inch high white statue is in the home of Babu, Lakshmi and their son Dhrupad who was cleaning it. At first the statue seemed to have some particles in the corner of its left eye. As Dhrupad was cleaning it, he felt a sudden change in the statue and the eyelashes appeared to move. The family decided to stop washing it and wait. On the following morning (18 July) they were astonished and thrilled to see that Shirdi Sai Baba had opened his left eye over night. Since then the miraculous winking statue has drawn huge crowds already. Hundreds of people have gathered to gaze at an image of the Madonna which appeared on 30 September 2008 in a second floor window of the Mercy Medical Centre, Stafford Street, Springfield, Massachusetts, USA. The image has a clearly defined outline as the sun shines through the window, agreed Mark E Dupont, Roman Catholic Diocese spokesman, but cautioned that it would take the church years to investigate it. Australia: Northern Territory  June to August 2008 has seen a spate of sightings in Northern Territory skies. The Territory’s unofficial UFO capital, Wycliffe Well, 1,100 kilometres south of Darwin, attracts hundreds of visitors each year. “The last three months have been pretty full-on with sightings,” said Lew Farkas,Welcliffe Well Holiday Park owner. Howard Springs, Darwin  A member of the state parliament of Australia’s Northern Territory saw a UFO fly across the sky in the early morning of 16 July 2008. Gerry Wood said the object moved at a tremendous speed in the sky above Howard Springs, a rural suburb of Darwin. A retired officer of the UK’s Royal Air Force said that a fleet of “spaceships” were tracked on radar at his military base in 1971. Wing Commander Alan Turner, who was a radar supervisor at the RAF Sopley base in southern England in 1971, said 35 craft appeared on their radar screens. The UFOs were equally spaced and increased their altitude from 3,000 feet to 60,000 feet at almost 300 miles per hour. Every few seconds one of the craft would disappear from radar and be replaced by an identical UFO shortly thereafter. Turner said six military radar, as well as radar operators at Heathrow Airport in London, tracked the UFOs. Three days later, after reports were filed about the phenomenon, the UK Ministry of Defence visited the RAF base and told staff to “never speak about the incident again”, according to Turner. 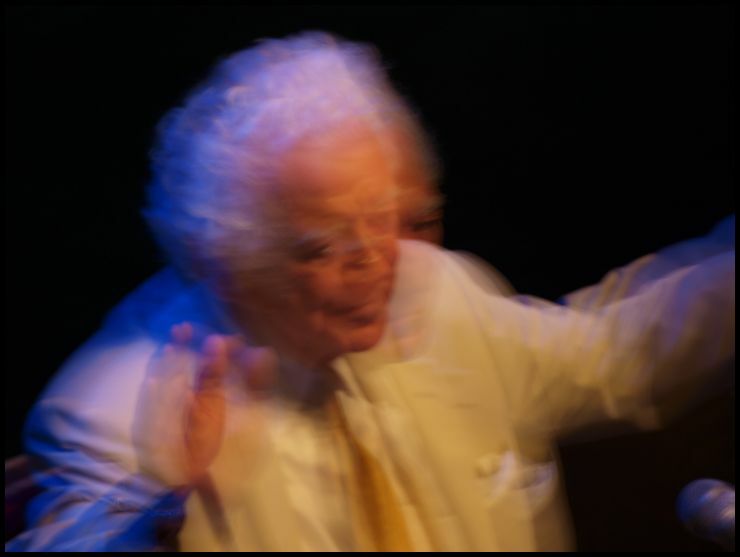 A photograph showing the overshadowing by Maitreya of Benjamin Creme during his lecture in Amsterdam, the Netherlands on 17 September 2008. Approximately three-quarters of the audience of 600 were newcomers attracted by an extensive advertising campaign which included television advertisements. Benjamin Creme’s yearly visit to the Netherlands finished as usual in the south of the country with a three-day European Transmission Meditation conference. The conference theme was “Education, education, education”, emphasizing the importance now, in the very short time remaining, of making known as widely as possible our information about the Emergence of Maitreya into public recognition. Noam Chomsky is professor emeritus at the Massachusetts Institute of Technology in Cambridge, Massachusetts, USA, where he teaches linguistics and philosophy. He has received wide recognition for having revolutionized modern linguistics and has been awarded, among other honors, the Distinguished Scientific Contribution Award of the American Psychological Association and the Benjamin Franklin Medal in Computer and Cognitive Science. Also internationally acclaimed as a scholar on such subjects as politics and foreign policy, he has written many bestselling political books, including Hegemony or Survival: America’s Quest for Global Dominance (2003), Failed States: The Abuse of Power and the Assault on Democracy (2007) and Interventions (2007). Noam Chomsky was interviewed for Share International by Jason Francis. Part One of Jason Francis’ interview, with Noam Chomsky, The democratic deficit, was published in Share International, October 2008. Share International: What effect is religious fundamentalism having on democracy around the world? Noam Chomsky: If religious fundamentalism is kept as a personal or community matter, it has no effect on democracy. But if it enters into the political system, the public arena, it has a very significant and, of course, negative effect upon democracy, because its principles are pretty much inconsistent with it. This is developing all over the world. It’s quite dramatic in the United States right now. The United States has always been off the chart in terms of extremist religious beliefs. It’s quite radically different from other industrialized societies. There is no industrial society outside the United States where you can find a significant number of people  about 50 per cent in the United States  who believe that the world was created several thousand years ago exactly as it is now. That’s similarly true for other extremist beliefs. Religious fundamentalism has occasionally entered into the public arena and political life during periods of religious revivalism, which had an effect on policy in the 1950s, for example. But there has never been anything like the most recent 30 years or so. By the late 1970s political party managers began to realize that if they catered to the religious fundamentalist community, which is very substantial, by offering them small things that didn’t matter much to the policy makers, they could gain electoral votes. Since the 1980 election, every presidential candidate has had to declare themselves deeply religious. The question never really arose much before, but since the 1980 election that has been uniform. In other parts of the world, Islamic fundamentalism is of most concern to the West. The most extreme Islamic fundamentalist state in the world has been and remains Saudi Arabia  also the closest US ally in the world, in part because of its Islamic fundamentalism. Back in the 1950s and 1960s there was a struggle between secular Arab nationalism and Islamic fundamentalist extremism. The two main figures in the struggle were President Nasser in Egypt and the King and Royal Family of Saudi Arabia. The US was strongly opposed to secular nationalism in Egypt, Iraq and elsewhere, and favored Islamic fundamentalism. That conflict was basically settled by Israel’s conquests in 1967, which pretty much destroyed the Nasser center of secular nationalism and one of the pillars of the Third World movement, the Non-Aligned Movement, which the US also despised. In fact, that’s when the US/Israeli relationship became really firm. A kind of ‘love affair’ developed between US intellectuals and Israel, which had not existed before as a real service to US power, supporting Islamic fundamentalism against the dangers of secular nationalism. The same thing happened inside the Israeli occupied territories: Israel supported the fundamentalist groups, which emerged finally as Hamas, as a weapon against the secular nationalist PLO [Palestine Liberation Organization]. This has also happened elsewhere. It is well known that former US President Reagan supported the most extreme Islamic fundamentalists the US could round up around the world to try to bleed the Russians in Afghanistan. During the same years, the 1980s, the US strongly supported the Zia ul-Haq dictatorship in Pakistan, which radically Islamized the country, established the famous Islamist madrasas with the funding of Saudi Arabia, which significantly moved the country towards Islamic fundamentalism. The Reagan administration also overrode congressional restrictions against aid to Pakistan, based on Pakistan’s nuclear weapons program, which the Reagan administration pretended they didn’t know about. Now, of course, radical Islamism has taken on its own very threatening and dangerous characteristics. The same is true of Hindu nationalism. The fundamentalist nationalism is represented mostly by the BJP [Bharatiya Janata Party], one of India’s main political parties, which puts forth a dangerous and quite extreme Hindu nationalism. In Gujarat, the recent election was won by Narendra Modi (the main figure in the Hindu Nationalist Movement), who was largely responsible for the massacres there a few years ago in which a couple of thousand Muslims were killed. These are not minor developments, and are not only threatening to democracy, but to any meaningful conception of human rights. SI: What effect are the socialist presidencies of Chavez in Venezuela, Morales in Bolivia, Kirchner in Argentina, Correa in Ecuador and Lula in Brazil having on regional integration, socioeconomic sovereignty and democracy throughout South America? NC: Let’s begin with democracy because that’s the easiest one to measure. There are regular polls taken throughout Latin America by a highly respected Chilean polling organization, Latinobarometro, which studies in depth the attitudes of the populations in the various countries toward democracy. Much to the discomfiture of the United States, Venezuela ranks way at the top in many measures. It ranks right alongside Uruguay at the top of support for democracy and support for the government. It ranks highest in assessing the role of the government in meeting economic progress and in a series of other measures. These results are so unacceptable in the United States that they’re just not reported but you can find them annually by looking at Latinobarometro polls. The last one was taken in November 2007. As far as Venezuelans are concerned, they have made great progress in democracy and they’re proud of it and support the government. Of course, it’s the opinion of Venezuelans that matter, not [North] Americans. The same is true in Bolivia. In fact the election of Morales was a spectacular victory for democracy. It’s hard to find a comparable example in the world, certainly nothing like that is conceivable here. In Bolivia the large majority of the population, which is an indigenous Indian population, for the first time since the Spanish conquest, seriously entered the political arena, gained political power and elected someone from their own ranks  overcoming enormous odds. Could you imagine that happening in the United States or any Western country? They didn’t just go to the polls on election day. These were mass popular movements, which had been struggling for crucial issues like cultural rights, control of resources, eliminating the neo-liberal policies that were destroying the populations, major issues they had been fighting about for years. When it came to the election they were organized and elected their own candidate. That’s democracy. The election in Bolivia in December 2005 is, far-and-away, the most remarkable democratic change anywhere in the hemisphere. Morales was immediately condemned for being autocratic and endorsing dictatorship and so on. The main reason was that he was calling for the nationalization of Bolivia’s resources. The critics failed to mention that this was with the approval of probably 90 per cent of the population. But that’s so autocratic and antidemocratic by our measures. It’s not following our orders, which is what democracy means to us. Nestor Kirchner was a somewhat different story. Argentina had been the poster child of the International Monetary Fund [IMF], a great economic miracle they had created, except that it all collapsed in a total catastrophe and Argentina’s economy was ruined. Kirchner got Argentina out of it by radically violating the orders of the IMF and moving on, as he put it, “to rid ourselves of the IMF forever”. The IMF is essentially a branch of the US Treasury Department. Argentina restructured and paid off its debts with the assistance of aid from Venezuela. It recovered very rapidly, much to the surprise of the conventional economists who predicted disaster from these measures. Other countries in the region are going the same way. Brazil in its own way paid off the debt and rid itself of the IMF. Bolivia is moving in that direction, Venezuela and others. In fact, the IMF is in serious trouble now because the countries on which it relies for its funding, mainly by debt collection, are refusing to follow its orders and are paying off their debts or restructuring them. All of these efforts are moves toward integration. The United States is now in a position where it is supporting South American governments of the kind it would have overthrown by military coups not many years ago. So Lula in Brazil is the ‘fair-haired boy’. His policies aren’t all that different from [former Brazilian President] Goulart’s back in the early 1960s. He was overthrown by a military coup planned by the Kennedy administration, which took place a few weeks after Kennedy’s assassination, by establishing a kind of neo-Nazi national security state of vicious murderers  a plague [which has] spread over the hemisphere. Now the United States is supporting Lula as its hope and in order to maintain a fiction that there’s a split between the ‘good left’, Lula, and the ‘bad left’, Chavez and Morales. There’s some truth to that; they are different. But in order to maintain that fiction it’s necessary to suppress quite a lot of information. For example, it’s necessary to suppress the fact that when Lula was re-elected his first major act was to travel to Caracas, Venezuela, to support Chavez’s electoral campaign and to dedicate a major bridge over the Orinoco River, a joint Brazilian-Venezuelan Project, and initiate another one. It’s also necessary to suppress the fact that shortly after that  in Cochabamba, Bolivia, which was the center of the Bolivian democratic revolution  the leaders of the South American states gathered. They apparently papered over their differences and issued a declaration calling for integration of Latin America in the style of the European Union. They recognized there was a long way to go to reach that but it’s the beginning of moves in that direction. You don’t find this in the press but it’s very important. The Bank of the South was just initiated, joining the major countries  Brazil, Venezuela, Argentina and others  which would concentrate on development problems in South America. That could turn out to be an independent funding institution independent from the World Bank. There are two important, related steps being taken in South America, for the first time since the Spanish conquests. One is that countries are moving toward integration. They had been very separate from one another, each related to the imperial powers in its own way but separated from one another. That’s beginning to be overcome. That’s a prerequisite for independence. If they’re not unified they can’t resist an outside imperial power. Also, they’re beginning for the first time to come to terms with extraordinarily important internal divisions in each country. South America has some of the worst inequality in the world. Traditionally it has been ruled by a small Europeanized, mostly white elite with very wealthy ties to the West: they send their capital to the West, they have their second homes in the West and their children go to the West to study. They’re pretty much disconnected from their own societies. On the one hand, you have the rich, dominant, mostly white elite, and on the other, you have a huge mass of deeply impoverished people. That gulf is beginning to be overcome. What happened in Bolivia is a striking example. Even in Venezuela there’s an element of that. One of the reasons for the elite’s bitter hatred of Chavez is that he’s not white; he’s of mixed race. Racial issues are important there and they’re beginning to be overcome. There are plenty of pitfalls. You can’t predict the course it will take, but the developments are very positive ones. Latin America is diversifying its economic relations. It had been totally dependent on US-European investment, trade and so on but that’s changing. There are now South-South relations developing  India, South Africa and Brazil. The raw material exporters in Latin America  Peru, Brazil, Chile and Venezuela  are beginning to diversify their exports to Asia. China is now beginning also to move in investments. All of this is giving Latin America many more options than they’ve had in the past. The integration, the steps toward overcoming the radical internal divisions, and the diversification of relations with the world are all very significant developments. Sometimes it is called socialism, whatever that’s supposed to mean. But it is true that there are moves toward benefiting the general population. In Venezuela, for example, contrary to claims here [in the US], poverty has been significantly reduced. There are efforts  sometimes successes, sometimes failures, often corrupt, but efforts at least  to try to develop a popular control that undermines the traditional elite control. At the same time, there are also autocratic tendencies that are dangerous in the long run, maybe, but certainly complex arrangements. Overall, steps are being taken that are quite positive and you can see that by the hostile reaction here. It’s a good measure of it. Steps are being taken in some countries toward shifting wealth and power toward the authority hated in the United States. In earlier days that would have led to military coups or economic strangulation but the United States is no longer capable of that. The last effort at a military coup was in 2002 when the United States supported a coup that briefly overthrew the government in Venezuela, kidnapped the President and disbanded parliament and the supreme court. This overthrow of democracy was supported by the United States and very publicly welcomed. In fact, they called it a step toward democracy. It was quickly overthrown by popular uprising and the United States had to turn to other ways to try to overthrow the government  propaganda, subversion and so on. But military coups are no longer as easy as they were in the Kennedy and Johnson years. SI: What can we do in the US to move toward true democracy? NC: We should take successful moves toward democracy tomorrow. It’s ridiculous to claim that in the richest, freest and most powerful country in the world we are incapable of doing what poor Bolivian peasants succeeded in doing. Of course, we can do it. But it takes commitment, energy, dedication, overcoming illusions, dismissing propaganda, developing real popular movements and demanding accountability from leadership. Develop your own programs and push them through the political system and get them implemented. If they can do it in a place like Bolivia and we say we can’t do it here, if someone were watching this from Mars they would be cracking up laughing. Of course, we can do it here but it doesn’t happen by itself. With the world still reeling from the recent stock-market and bank collapses we present a selection of quotations on the true problems facing humanity, and the overcoming of them, in response to the teachings of Maitreya and His group of Masters. The selection is gathered from Maitreya (Messages from Maitreya the Christ, and Maitreya’s Teachings  The Laws of Life), Benjamin Creme’s Master (A Master Speaks), and Benjamin Creme’s writings. Driven by market forces, governments vie with one another in fierce competition, sacrificing thereby the livelihood and wellbeing of their peoples. In the name of business efficiency, healthcare and education, once hallmarks of civilized life, fall foul of the predator’s claws. Rootless and hopeless, millions face the future with despair. Blinded by “the logic of the market”, the ideologues enact their unholy ritual on the long-suffering poor. Nor do they see the inevitable result of their folly: the collapse of the structures they seek to control. Whatever they do, whichever way they turn, they find the working of the Law against them; cause, and its effect, may not be denied. Soon, the remnants of this civilization will be seen for what they are  the frail and final fragments of injustice and greed. Soon, the people themselves will usurp this faltering power and claim their rights as citizens of the world and children of God. The sickness at the heart of the present dispensation is selfishness, complacency and fear. Where these three reign, separation and exploitation, handmaidens to ruthless greed, inevitably flourish. Only a rethinking of the meaning and purpose of life will suffice to steer men from the edge of disaster. Only a new sense of realism will provide the key to unlock these mysteries. When man’s erstwhile temples, the stockmarkets of the world, crumble and crash, that key will turn and reveal a new beauty waiting to be born. The strains of market forces hurt very badly in all of the developed world. It is almost impossible to walk in New York, London, Paris, Tokyo, Berlin and elsewhere without falling over people who are sleeping out  the vast army of homeless and workless of the developed world. This is the creation of market forces. Then there are the drugs, and the crime which arises to pay for the drugs. Eighty-seven per cent of all crime in America is drug-related. It is almost the same in Britain and the rest of Europe. As the crime grows, drugs grow, and as the drug culture grows, crime grows  they interact. 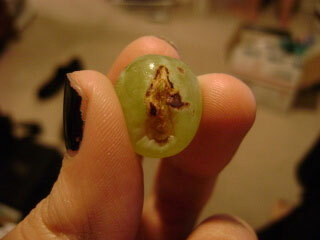 Maitreya says that people who suffer from drug abuse are suffering from spiritual starvation. Spiritual starvation, the outcome of competition, drives people to drugs…. Humanity has for long suffered from the disease of speculation. The symptoms of this disease are world poverty, crime, drug abuse, violence and war. The basic cause is age-old human greed based on separation and fear. Under the leadership of the Christ (the Lord Maitreya) the Masters will help humanity to see this and evoke from them a greater sense of their interdependence. The very presence of Maitreya, known to all, will go far to make this transformation possible. My Teaching, simple though it is, will show you the necessity for sharing, for the creation of a pool of resources from which all men may take, the substitution for greed of co-operation and trust, the manifestation of the inner divinity of men. This manifestation, My friends, must proceed, for without it, the future for man would be black indeed. A crisis of decision awaits mankind. My Love creates a polarity of viewpoints; that is the Sword which I wield. My friends, know well where you stand and receive My Light. There will come a time, in the not too distant future, when men will know with certainty that they are Gods. This achieved divinity will demonstrate itself as Brotherhood, and through the creation of a civilization in which humanity will unfold God-given faculties and powers. At first, the changes will be slow, but, gradually, far-reaching changes will transform the world. Each nation will contribute its special gifts to a new world harmony. Above all, a new spirit of goodwill will motivate men’s actions and lead to the creation of truly lasting peace. Thus will it be. Thus will ‘The Desire of all Nations’ be established in our midst. Thus will the sons of men come to know themselves as Sons of God. Many today await the manifestation of a great Teacher, an Avatar, a Guide, one Who will take them safely through the labyrinth of present difficulties and dangers and lead them to the ‘Promised Land’, a land ‘flowing with milk and honey’, a land of plenty, of abundance. This vision of the Teacher is not entirely false but reflects an outlook of deep materialism. Abundance there will most certainly be, bringing new life to men on all the planes. This ‘new life’ is the spiritual gift of Cosmos focused through the Christ and presented to all men. But a land of plenty could be every man’s today. No need is there to await the Avatar to right the present wrongs. No need for a Saviour is there when man can save himself. “Take your brother’s need as the measure for your action and solve the problems of the world.” Thus spoke the Christ, outlining the simple steps to justice and plenty for all. Many await the Avatar to cure their personal ills, forgetting that they themselves have the cure within their hands. “No man is an island”, nor was meant to be, and when the needs of all are met the individual will flourish. Prosperity is a state “where no man lacks”, where there is neither very rich nor very poor. Far from this blessed state are men today when luxury and starvation walk hand in hand. In this way a new approach will be made to the problems of money and power, privilege and prestige. The desire to serve will replace the desire for gain, and the longing for justice will supplant divisive greed. Each one has a part to play in the creation of this new freedom. It behoves all who sense the happenings of the time to play well their role. Wherever you look today, you see the results of change. Much is happening which causes fear, but, My friends, naught need be feared while I am among you, for I embody the Will of God. His Plan for change necessitates destruction of old forms. This, My friends, is inevitable and will usher in a new beauty. Please click on the image to view the full size pictures. 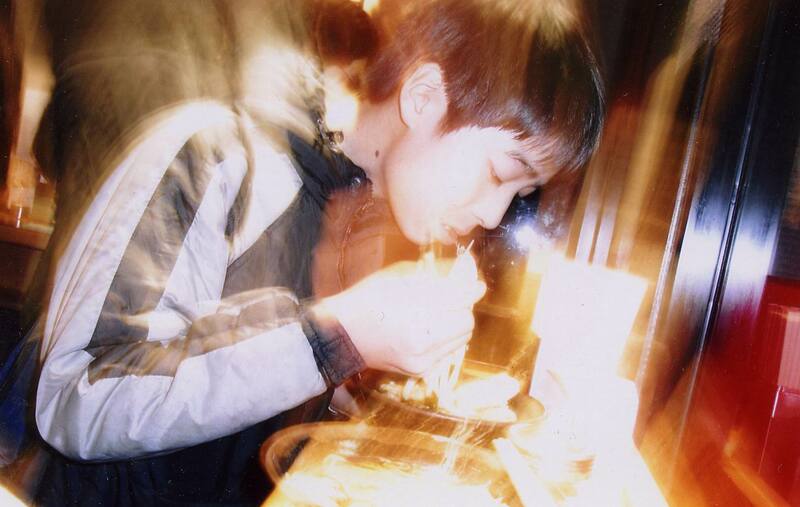 Left: photograph sent by Kazuko Hoya of her son Shun eating noodles at the Tachikawa station, Tokyo, December 2007, showing a blessing from the Master Jesus. 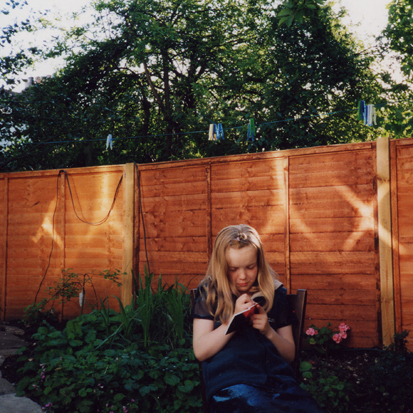 Right:Patterns of light on a garden fence, Hove, UK, 1994. Left: Photograph taken in a flea market in Caldetas, Barcelona, Spain shows a light blessing from the Master Jesus. Sent by Carme Oliva. Right:Kono Masae, Hiroshima, with a red column of light, manifested by the Master Jesus. 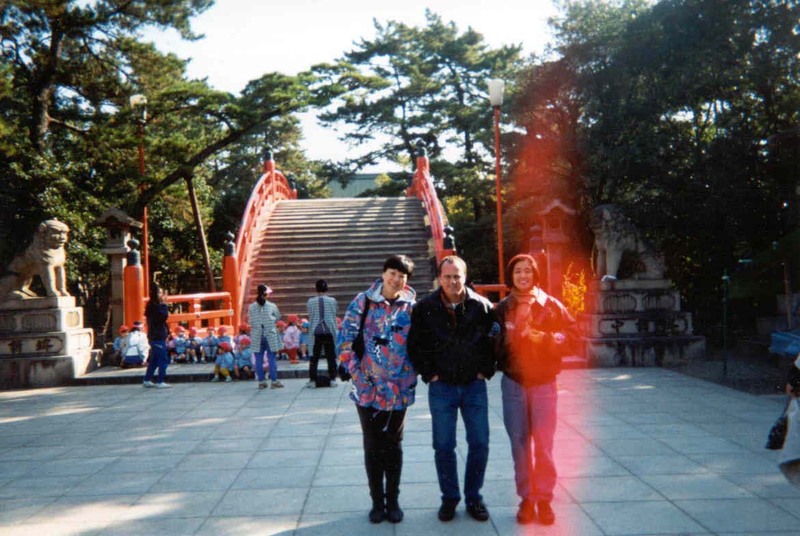 November 1996 in Osaka, Japan. On 14 October 2008, many people saw a UFO over Ajdovšèina, Ozeljan and Šempas in south-west Slovenia. Witnesses also reported hearing a strange sound and a man from Šempas, near Nova Gorica, saw a large object which was moving irregularly and “felt a sort of electric charge in the atmosphere”. (Source: 24ur.com, Slovenia) where short video is viewable. 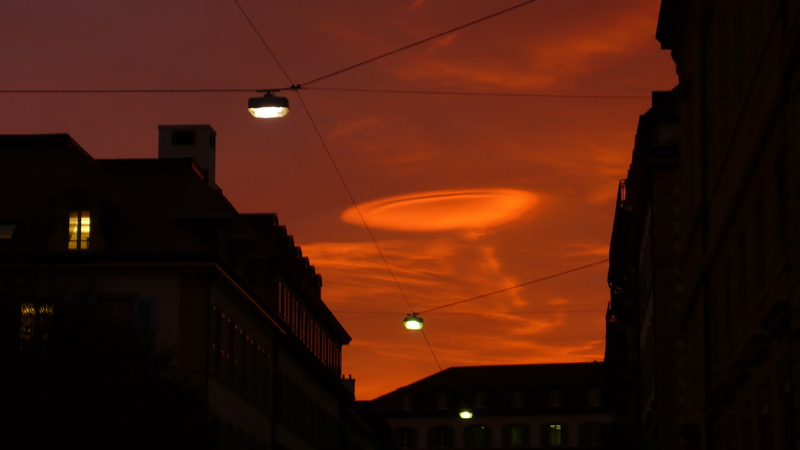 Photograph taken by Ursula Waelti at 5pm on 7 November 2007 in Neuchâtel, Switzerland. Benjamin Creme’s Master confirms that the object in the sky was a spacecraft from Mars.